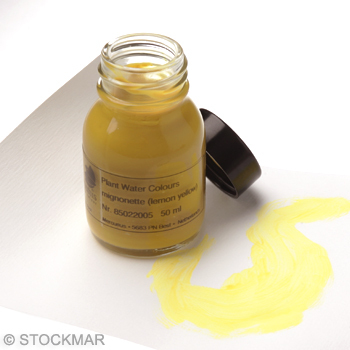 Watercolours from natural dyes 50 ml/1.7 fl. oz. Natural dyes are fluid substances extracted from colour-yielding plants that have been precipitated with aluminium oxide. Typical watercouloring techniques like transparent painting and layering let the colours of natural dyes appear especially bright and shiny. Natural dyes also increase one's awareness of colour harmony. Colours: Depending on the harvest, climate and other environmental influences, subtle differences in colour may occur. **The raw material of the colour gum-gutti (golden yellow) is used in veterinary medicine and must be classed as "slightly poisonous". Therefore it is not suitable for children.